Jim Cramer, bestselling author and host of CNBC’s Mad Money , has written the ultimate guide to lifetime investing for readers of any age. Whether you’re a recent college grad trying to figure out how to start investing, a young parent struggling to decide where and how to put away money, or someone well into middle age and worried about whether you’ve saved enough for retirement, Jim Cramer’s Stay Mad for Life has the answers. Cramer covers all the essentials: how to save, where to invest, which pitfalls to avoid. He offers valuable advice on everything from mortgages to college tuition. He explains what professional money managers do right that amateur investors do wrong. Because there is always a bull market somewhere, Cramer tells readers where to find the bull markets of the future, and for those willing to do the homework, he chooses twenty stocks that could be long-term moneymakers. For those who don’t have the time or the temperament to invest in stocks, he identifies the mutual funds that are proven winners. He’s investigated these funds by using his own twenty-five years’ experience managing money for himself and dozens of America’s wealthiest families. Throughout, in addition to his own enormously successful experience, Cramer draws on rigorous research to back up his advice. Jim Cramer is America’s #1 financial guru. Every day he advises investors on how to get ahead of the markets and stay ahead on his daily television show, Mad Money ; in his online columns and commentary at TheStreet.com; in his popular “Bottom Line” column in New York magazine, and on television programs from early morning to late night. His books have all been national bestsellers and have helped educate hundreds of thousands of investors about the perils and promises of the financial markets. USA Today called him “the media’s most electrifying market pundit,” and his legions of fans agree. 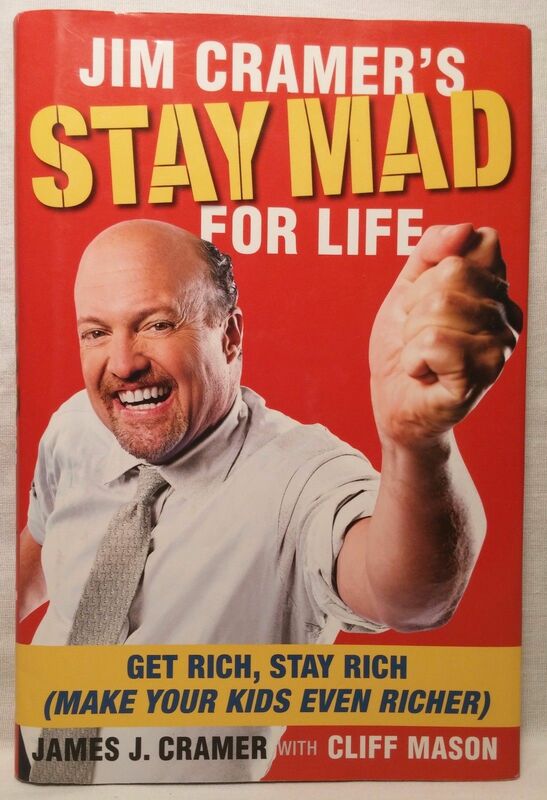 Jim Cramer’s Stay Mad for Life is the definitive money book, a practical, concrete, insightful book of invaluable financial advice that is a joy to read. Jim Cramer, the best-selling commentator on investing, advises on how to invest wisely at any age, whether recent college graduate or retiree.